I believe I may have captured the cause. But I want to be sure. Do you have any links I can use to try reproducing this? I need to track down which pages you are seeing these prompts on. Haven't been able to recreate, and would have hit it quite a while ago if behaviour was exactly as before. Either ya squashed it, or I'm weaving through your backend topology differently. Of course I screwed up the screenshot and only captured the authentication window rather than the whole browser screen. FWIW, challenge was to mprociw.vs-idev.com. I'll keep an eye out, but can't promise I won't screw up diagnostic collection next time, if there is one. I'm a supporting member and I have two adds on the top. That function only allows you to turn off the SIDEBAR ads .. not the ad up top. 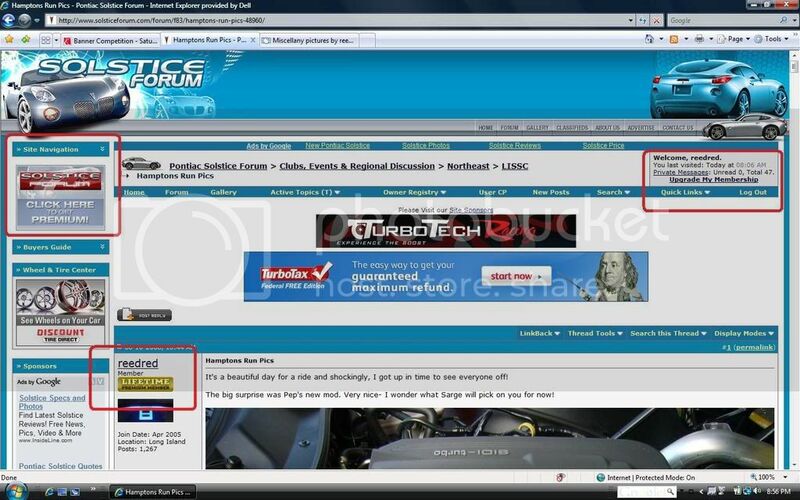 The TOP banner ads are from the supporting vendors on the forums .. the bottom one is a google ad. Top Poster is being taken care of ..
"Premium Membership- The premium membership package offers the same level of access as above, with the addition of being able to have a larger avatar, more private message space, bigger gallery space, as well as the option to remove most of the ads. Also, you will receive a nice shiny new tag under your username. 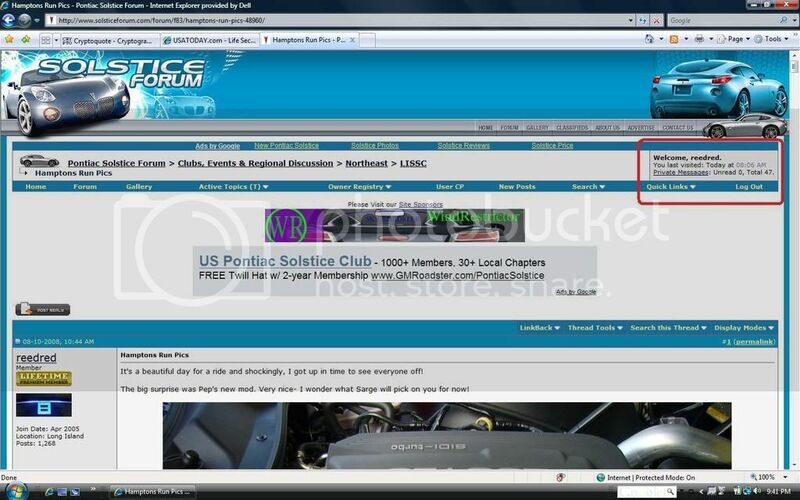 The premium membership costs $15 per year, and will help support further upgrades and better servers for Solsticeforum." There is no claim of removing ALL ADS. Also, the top banner is for the site sponsors that directly contribute to the costs involved with maintaining the site. I think it is only fair that the community always gets to have a look at what they have to offer. May even save you some cash one day when you are looking for parts or services. Before the update, if you were to choose multiple smileys, there was always a space between those smileys. Now all the smileys run together. Is this the new norm? They used to look something like this. I upgraded my membership today so I could get rid of the extra ads, but I think I'm in some sort of limbo. I have the shiny label, but still am limited to 50 PMs and see ads to the left. Once those are gone, will I still see the huge empty space on my screen? Since this is important to you, I will look into it tomorrow. I think you should slow down on the smileys! Not really IMPORTANT to me. It's more of a usability thing. I believe there used to be a space by default in front of each smiley. Last edited by reedred; 01-28-2009 at 07:02 PM. Ok we are having too much fun here now. This thread should be for bug reporting only, we will limbo another time. (I wish I knew more lyrics to California Dreamin') I will figure out the spacing thing tomorrow. As far as I know it goes away when you upgrade the membership. And I'll try to lay off the Hoff! could you get the "my recent posts" link back up ? EDIT - Ok, make it so it isn't burried. Last edited by PubliusE; 01-28-2009 at 08:32 PM. We can realistically only put so many items on the bar otherwise it becomes super cluttered and impossible to use.